The cost to play soccer is $100, before March 31, 2019. Each child will receive a team jersey, matching soccer shorts and socks, a 5x7 team photo, a medal and a pizza lunch on the Day of Champions. The cost to play baseball is $100, before March 31, 2019. Each child will receive a team jersey, baseball cap, a baseball, a 5x7 team photo, a medal and a pizza lunch on the Day of Champions. A child can play both sport for $190.00. They will receive all the items listed for both soccer and baseball registration. 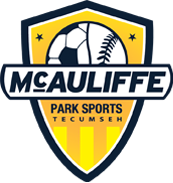 The McAuliffe Park season will begin play during the first week of May and will end on the second Saturday of August. What day will your child play? Coaches will arrange a time and day for practices. Please speak with your child's coach for the specific day, time and location. How do I know if a game or practice is cancelled due to inclement weather? If a practice or a game is cancelled due to weather, your coach will call the phone number you provided on the registration form. Please make sure that the coach has the proper number to contact you. Coaches will be called 45 minutes prior to game time for weather cancellations by the convenor. The coach is then responsible to call all players. After a cancellation, continue to follow the game schedule as listed. I have registered my child, when should I expected to be contacted by the coach? You should expect a call within the week the coaches receive their team rosters. 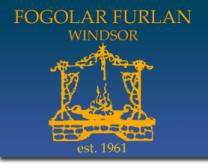 If you do not receive a phone call by May 16, please contact the convenor of your child's age division for follow-up.